Designing for digital and designing for print are very different things. One challenge in print design is how your artwork will translate into a physical product. 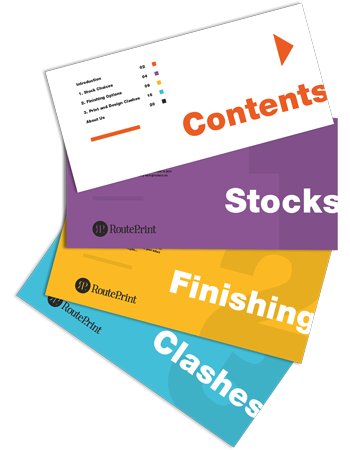 So, we created this handy guide to help you make the right print choices and create the perfect end-product for your clients! 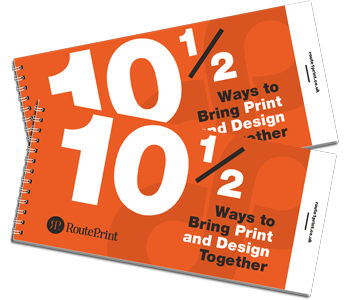 Fill in the form below to order your FREE copy of 10 ½ Ways To Bring Print and Design Together. You'll also be able to download a digital copy once your order is received. Address Line 1 is required please complete. Address Line 2 is required please complete. Postcode is required please complete. County is required please complete. Don’t worry, we won’t pass on your data to any 3rd parties. We promise to keep this just between us!